Brought to you by the following Official Proud Sponsors: Town Of Shelburne, Abiding Place Fellowship, Shelburne Town Pharmacy, Shelburne Home Hardware & Building Centre, Dalton Electric, Shelburne BIA, Consign it Plus .Com, John's No Frills, The Shelburne Transporter, Google & YouTube. idea, hardworking people and a deep desire to simply give back in a 'pay it forward' manner where good people produce the kind of 'good stuff ' that is strong enough to stand the test of time. That is the recipe in creating a legacy. When beef farmers, Carol and Robert McKill (L) made the the decision to sell their farm in the Dundalk, and relocate to the Town of Shelburne, they likely couldn't have guessed trading county life for town life could lead them on a journey that would eventually have their new community rely on them in such a big way. Life is funny that way and often fate, destiny, even Karma can step in. Though a man may not have control over life as it happens, how he chooses to react when life happens is in his control. Those actions can reveal a lot about a man and what he's made of. The McKill's are obviously made of resilience.
" How it all started? In 2006 I became handicapped. I no longer could do the physical work of farming . 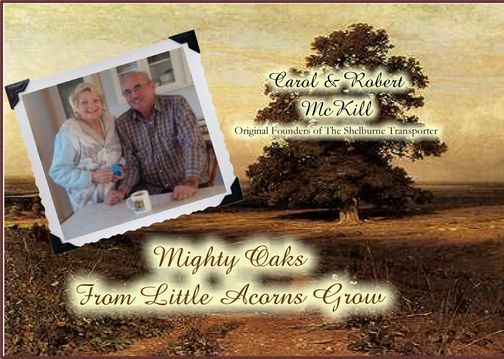 I still had to make a living and my wife, Carol and I sat down and discussed our future," explained Robert (Bob)McKill, a number of years ago.
" I could still drive and always loved driving. What we came up with was to drive people that needed transportation, not to become a taxi service, only driving people by appointment. I inquired to different insurance agencies and they were very interested so I bought a mini van and started The Shelburne Transporter, (TST). I had only a few clients at first and all were medical in nature so The Shelburne Transporter (TST) became a specialty service. Years later, we have up to 1600 drives a year and we are still growing. We have have up to eight drivers available daily to transport people to their medical appointments. I'd like to thank all the clients for their continued support." Fast forward to 2016, and McKill's modest account of the business' humble beginnings can barely compare to the actual nature of the business today, serving approximately 150 clients and completing approximately 2000 annual drives as the business continues to grow and thrive under the care of new business owner, long time friend and employee of TST, Brenda Haines. The Shelburne Transporter has evolved from an idea into a support system providing strictly Specialty Medical Transportation to individuals across Dufferin County. Perhaps one the most important aspects of TST is the fact that a client's insurance company or which ever organization supports them get billed directly ensuring a worry free drive for clients as no monetary concerns will arise. 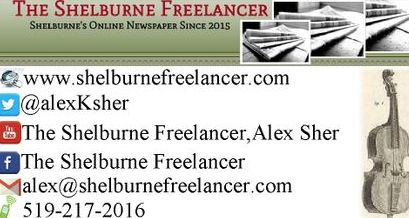 "The Shelburne Transporter is approved by, ODSP, WSIB, Insurance Companies, Veteran Affairs Canada, Ontario Works, Canadian Mental Health, and if anyone wants to know if they are approved, they can just call and I can find out for them. Dufferin County has a lot of resources available," commented Haines. " We are not a taxi service, so we do not drive people to do their shopping for example, but we drive people to their Medical appointments, Physiotherapy, Day Programs, Patient Transfers, Dialysis, and clients can book in advance or call for same day booking." The Shelburne Transporter is not just a vehicle of transportation, it has become a source of independence for clients who have been injured, suffer illness, enabling them control over their lives, allowing them to book medical appointments knowing they will be safe, arrive on time and never have to worry about transportation returning home as drives are round trip, performed by professional, licensed and insured staff. 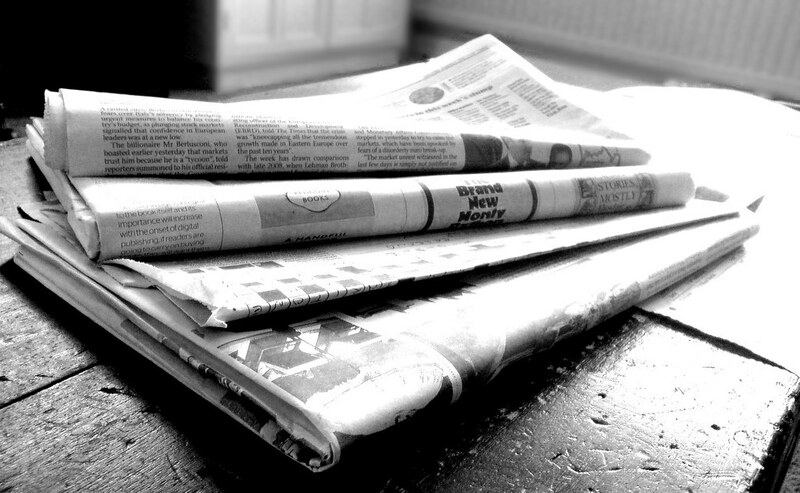 "It's an honor to move forward, carry on such a great legacy and I'm proud Bob and Carol had tremendous faith in me, " explained Haines regarding her taking over the business once the McKill's decided to retire. " Watching the business continue to grow in the spirit it was created, helping people to help themselves, is something wonderful for Bob and Carol to see and to know the service is so needed and relied upon means a lot me." But Haines isn't all about business. For Haines, TST is a helping hand and she, like her mentors and predecessors actually care. " Having the TST means that clients do not have to rely on family and friends alleviating an sense of guilt sometimes experienced and expressed by clients in the way of feeling like a burden. Of course, families of Clients are also grateful their loved one is being transported with such care. Some people are physically, mentally drained and completely exhausted following an appointment and it's a tremendous relief to them to know TST is waiting for them providing a sense of security and comfort during their appointment and during the drive home." Haines is forever grateful to Bob and Carol commenting, "Over the years, they have been great friends, supporters and they taught me how to run a successful business. We've all laughed together, cried together, and they hold a very special place in my family's hearts. It feels like they adopted my myself, my husband, my four kids, my three dogs, and my grandchild. Our friendship transcends business and they are such dear friends to us, it's hard to describe. We help each other, rely on each other, and they have been such a wonderful, caring, support system over the years. They are truly exceptional. As the business continues to grow, our friendship also continues to grow and we become increasingly dear to each other." Friends, neighbours, business mentors, from Bob and Carol McKill to Brenda Haines, an onward to the Dufferin Community of Clients, the circle of good, compassion and caring continues to be the "DRIVING" force behind the Shelburne Transporter. 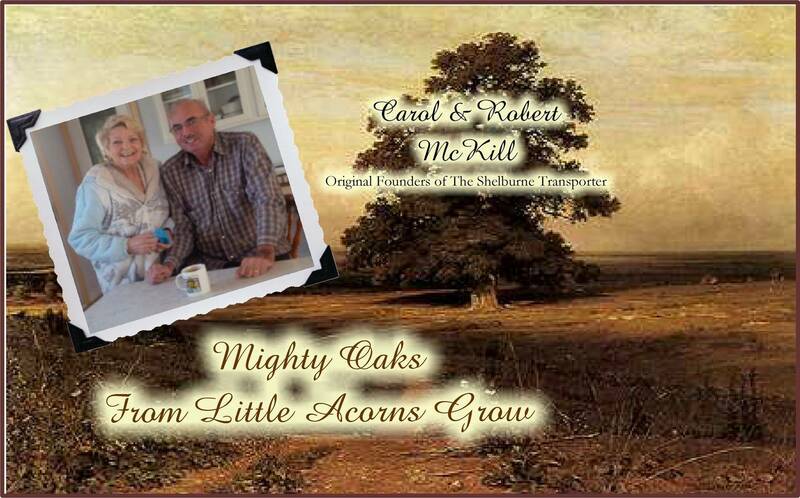 And that is precisely how mighty oaks from little acorns grow.
" Specialty Medical Transportation for clients who have suffered an injury, or illness and require transportation. We provide, on time delivery with care and compassion, door to door return, safe, reliable and affordable service by professional, licensed and insured staff." The Shelburne Transporter Donated her time to Help out In Shelburne Town Pharmacy's 2nd Annual Fundraiser for Sick Kids Hospital 2016 which brought in $2,200!